Here's a first rate easy magic trick that employs a poker theme. You can have fun learning the trick and then performing it for your card playing friends. This effect uses ten playing cards that you pull from the deck. You deal two hands of poker out of the ten cards - one to a spectator and the other to yourself - and you win three times in a row. This is a classic poker themed trick. This is a packet trick as you'll be using a subset of the cards from a deck. To perform this trick, you’ll need to remove ten cards from the deck. While you're free to make your own combinations, take note of the requirements. From the deck you'll need to draw out nine cards that make up three, three of a kinds and one odd card that doesn't match any of the other cards. For purposes here, we will be using three tens, three nines, three sevens and one eight. The choice of suits doesn’t matter. Take a pencil and place light dots in the white corners on the back of the odd card, in this case the eight. You’ll need to make sure that if you’re looking for these dots, you’ll be able to immediately identify this card under the lighting and other conditions under which you will be performing the trick. It’s all in how you deal the cards. Whoever receives the eight (odd card) will lose the game. You have to make sure that your spectator always receives the odd card. To learn how, continue reading below. Start out with the eight on top of the pack of ten cards. The order of the rest of the cards doesn’t matter. 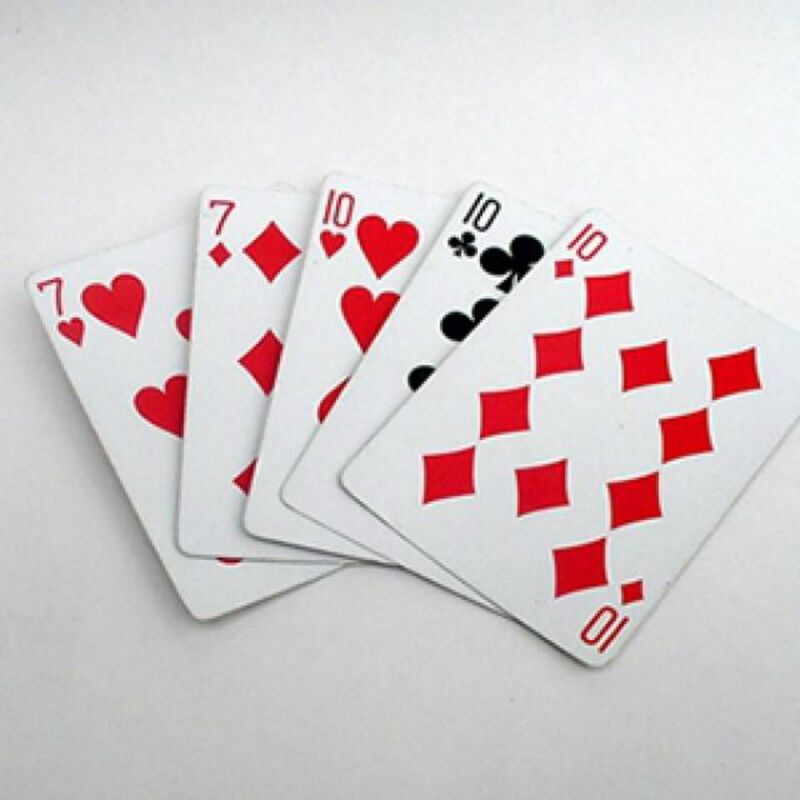 As you gather the cards, note where the eight (odd card) is and make sure that it ends up on top of the pack. Once again, deal the cards giving the spectator the eight, and you’ll win again. You can repeat the second step to win a third time, but it’s more fun to let the spectator mix the cards. After the spectator mixes the cards, ask him to spread the cards on the table. You can tell him that you want to make sure that there are only ten cards, but what you are really doing is noting the location of the eight (odd) card. If the card is in an even location, you can allow the spectator to gather the cards and deal them and you’ll win. If the card is in an odd location, you’ll have to gather the cards in order and deal once again. Either way, the ending is strong. If you like this poker-themed trick, be sure to check out our easy magic trick that allows you to deal yourself a royal flush. There are lots of marketed tricks that are related to this effect. A version of this effect comes in the form of "The Tim Card Poker Deal," an effect that employs gaffed cards for a stronger outcome.